Tournament debutantes Altinordu claimed a deserved victory at the death against Etoile Sportive du Sahel, who showed limited ambition for much of the game. However, the match was perhaps most notable for the controversial application of VAR technology, which saw a goal ruled out for either side. Altinordu, based in the western city of Izmir, may be a less familiar name than Turkish giants such as Galatasaray, Fenerbahce and Besiktas, and their record is certainly more modest than their illustrious counterparts, having won just one league title back in 1967. However, in recent times Altinordu have gained an enviable reputation for their development of youth players and, judging by the talent contained within this Al Kass squad, it is easy to see why. ESS had been hugely impressive in their opening game against Bayern Munich, which was far more one-sided than the 3-2 scoreline suggests. 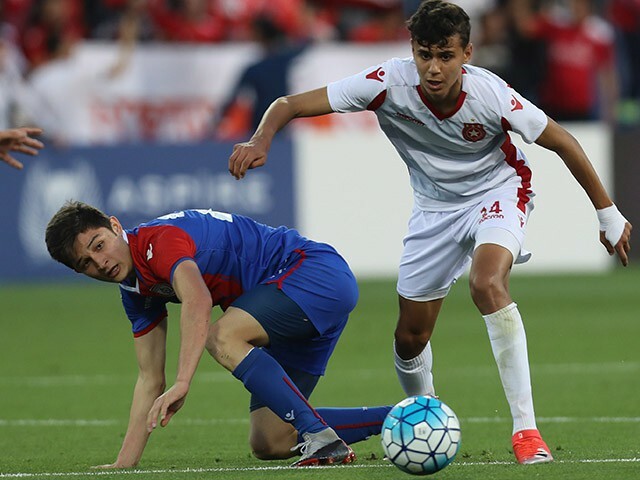 But in the opening stages of this match, Altinordu more than held their own, their neat interplay frequently leaving the Tunisians chasing lengthening shadows as the sun set over Aspire Academy. For much of the first half ESS were pinned back, with the Turks enjoying the vast majority of possession. Even so, they seemed in no hurry to test Tunisian keeper Hassen Fradj, content instead to stroke the ball around and await an opportunity, which duly arrived on 40 minutes. There seemed little danger when Alihan Senturk picked up the ball midway inside the ESS half on the left, but the skilful forward set off on a slaloming run, easily beating two defenders before striking low and hard into the far corner. The watching Turkish fans were delirious, but their joy was short-lived following the intervention of VAR technicians, who had spotted a foul in the centre circle in the build-up to the goal. Altinordu maintained their dominance as the second half got underway, fashioning the occasional chance as the game settled back into a familiar pattern. However, as the match entered its final quarter, the young Turks began to show signs of fatigue - and ESS looked to capitalise. put through on goal and rounded keeper Emirhan Emir, only to see his tame shot cleared off the line. Altinordu were on the ropes and, with five minutes left, substitute Makram Krifa had the ball in the net for ESS, only for VAR to once again intervene and grant the Turks a reprieve, with the ‘goal’ ruled out for the most marginal of offsides. Two minutes later, Altinordu took full advantage of their good fortune, as substitute Enis Destan rose to meet a looping cross and head home the winner. On balance, it was no more than the Izmir side deserved for an accomplished display that oozed class, while lacking a cutting edge at times. Next they face Bayern, in a match that the Germans must win to have any chance of advancing past the group stage. If today’s game is anything to go by, the Munich titans will have their work cut out.